Scroll down the page for a quick overview of all of the exciting excursions you can add to your stay to learn more about the rich history and culture of Colombia. For more information on packages and cost click HERE. 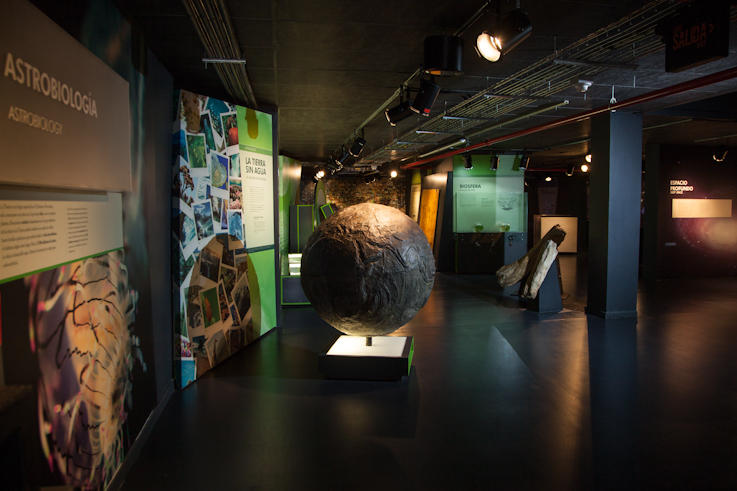 A panoramic tour of the most interesting tourist places in the city where you can enjoy the history, culture, symbols and evolution of the Antiochian earth. 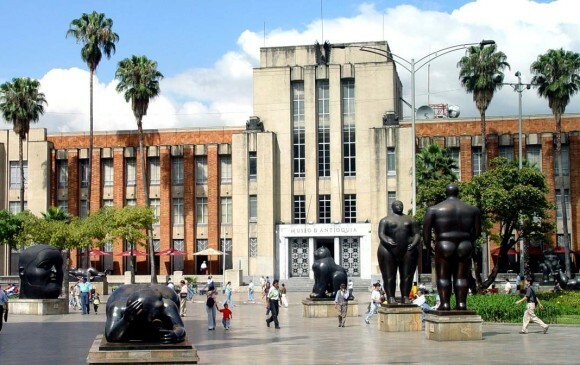 Visit places like the Metropolitan Cathedral, Plazuela Nutibara, Parque de Las Esculturas, Palacio de la Cultura de Rafael Uribe Uribe, the Carabobo Pedestrian Walkway, Parque de las Luces, Plaza Mayor, and much more. Discover and enjoy Medellin through its internationally acknowledged mass transit system of METRO and METROCABLE, which positions the city as one of Colombia’s most craved destinations due to its strength, development, and technology. Also enjoy a journey through the Paseo Peatonal Carabobo, Plaza de Botero (Museo de Antioquia), Parque de Los Pies Descalzos y Cerro Nutibara (Pueblito Paisa). A tour of the main cultural parks most representative of the city, including the “Parque Explora”, and the Science and Technology Park, which includes the biggest freshwater aquarium of South America. All offer interactive experiences which turn you into the main protagonist of knowledge. Museo de Arte Moderno (Modern Art Museum) – MAMM: Works of great artistic and historical value, including Antioquian painter Débora Arango’s most important collection and a donation from painter Hernando Tejada. Museo el Castillo (The Castle Museum): In medieval Gothic style and surrounded by French gardens, it contains collection of fine arts and decorative arts. It also has European art and works from Colombian artists. Transport under the international system Hop On Hop Off, in which you will be able to freely get off and on the bus in each of seven authorized stops, in accordance with your ticket´s duration and with the advantage that every 70 minutes a bus will come by which will allow you to continue your journey. It also includes professional tourist guides – bilingual, touristic map of the city, discounts and benefits, and trip insurance. This journey covers destinations with touristic, architectural, cultural, patrimonial, and gastronomic interest, such as museums, libraries, tematic parks, universities, shopping nalls, plazas, and avenues. -The city tour is operated by two traditional buses and one two-story bus, which are rotating throughout the day, so access to the two-story bus is not guaranteed. A long day tour for you to enjoy a region that offers wonderful scenery full of flowers and mountains. You will be able to see some of the Antiochian towns like “San Antonio de Pereira”, “El Retiro y la Ceja” and learn about their culture, gastronomy, and arts and crafts. It’s an excellent tour to buy foods and souvenirs. One-day tour to enjoy a region offering wonderful landscapes where flowers and mountains are the protagonists. You will meet some of the typical Antioquia villages, such as San Antonio de Pereira, El Retiro and La Ceja; their culture, crafts and gastronomy; el Carmende de Viboral, famous for its pieces in hand-painted ceramics . Visit the Recreational Park Tutucán a large replica of an Antioquian village with its church, its school and its typical houses; there are recreated typical characters of the time period, such as “Bobo People ” and “La Loca”. It is an excellent place to buy sweets and memories. 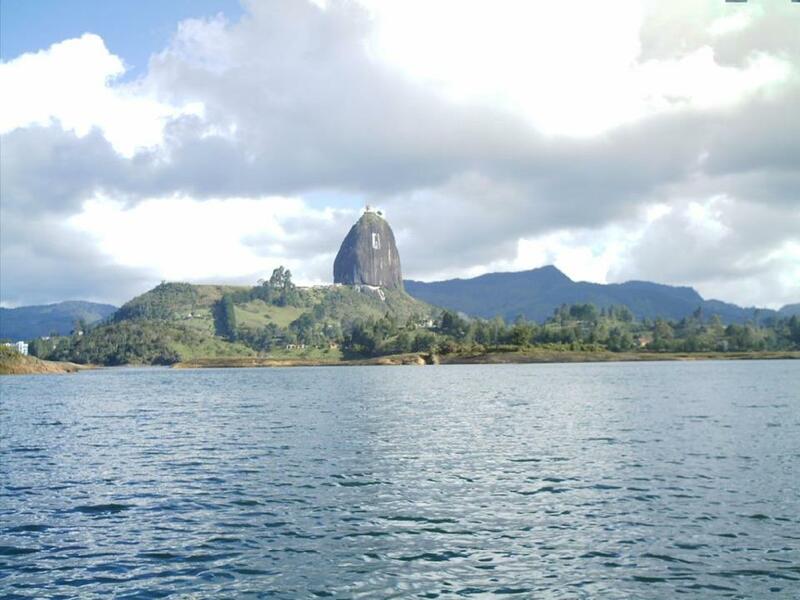 Enjoy the land where the waters of the Embalse de Guatapé bathe the Antioquia mountains and ascend to the stone Peñol where you can overlook the natural beauty of eastern Antioquia. 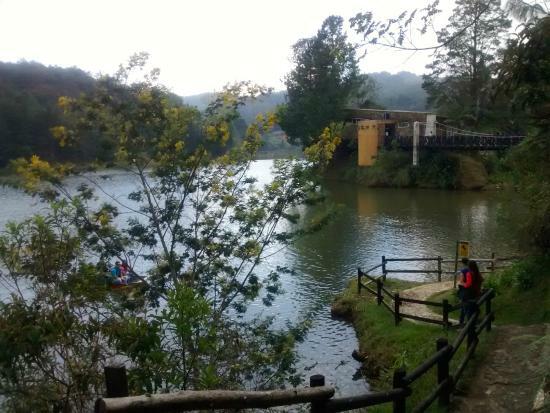 Visit to the municipalities of Marinilla, El Peñol and Guatapé, the latter highlighted by colorful baseboards of their homes and the boardwalk along which you can see the diverse culture and cuisine of the region. Not only was it the set of various movies and novels, comfortable climate, and exotic fruits, but it also is a colonial paradise of Medellin. The Cauca river crosses this region, making the cleverly designed “Occidente” Bridge a must see. The towns near flourish thanks to the river, allowing them to create grand gold artefacts. Get to know this natural reserve located on the heart of Santa Elena land of the silleteros, the perfect scenery to enjoy of the diversity of the Colombian fauna and flora through an ecologic walk by forest trails and a panoramic flight on the park’s cable car, at the end you could enjoy of the culture from the region by visiting a finca silletera. Here are other places we recommend visiting. 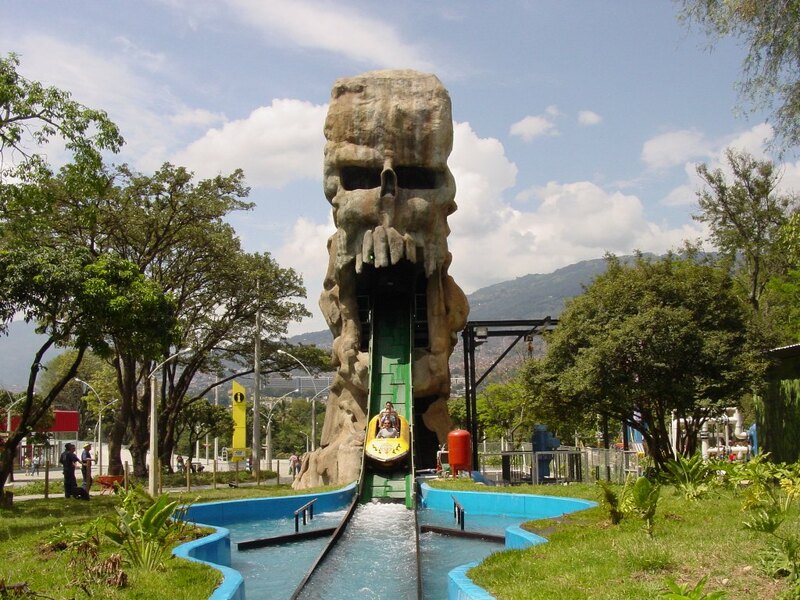 Visit the theme park of Medellin! It’s impossible to spend a day here without laughing or smiling. Tour around its various attractions, experience its fun activities, and feel free to try out all the different mechanical rides… if you dare. This park is an interactive center for the ownership and dissemination of science and technology. 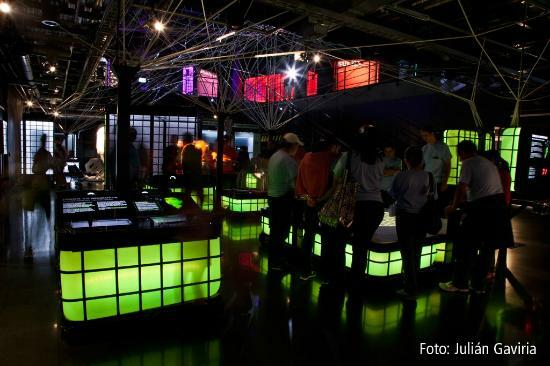 It offers more than 300 interactive experiences , an auditorium for 3D projections , a television studio , a children’s room , experimental spaces for all and a temporary exhibition hall , making it the largest project of scientific and technological promotion Medellin offers to the local population and visitors. Are you a big fan of space? Big fan of science in general? The Medellin planetarium is a fun and interactive space museum with some of the most modern standards in the world of technology. It comes along with a huge digital dome that provides high quality and immersive experiences. It’s also right next to a beautiful plaza that is just steps away from the Parque Explora. See the unique paintings and sculptures made by artist Fernando Botero. Walk around its various exhibitions and relax while looking at some pretty cool art. 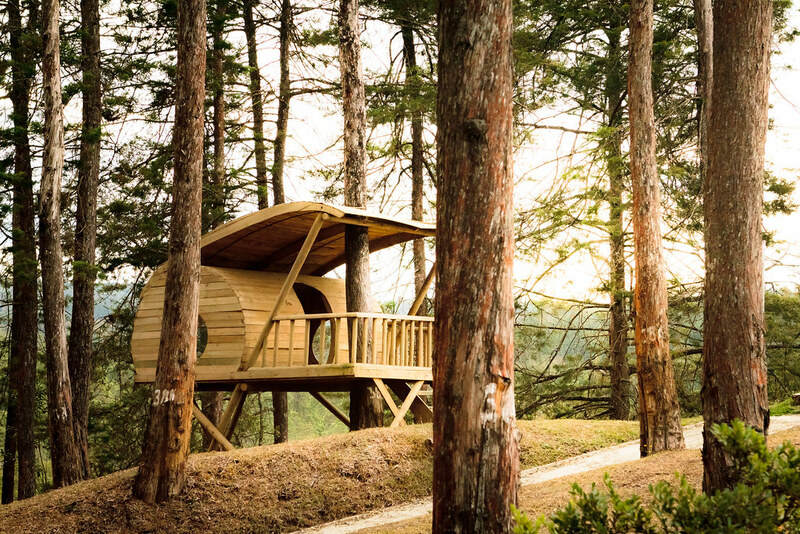 Arví Park is an eco tourist proposal township located in Santa Elena , created for the enjoyment of all the local, national and international community. It offers things such as its infamous challenging canopy trail, a 4D auditorium, gardens, activities, nature trails, and exquisite restaurants. 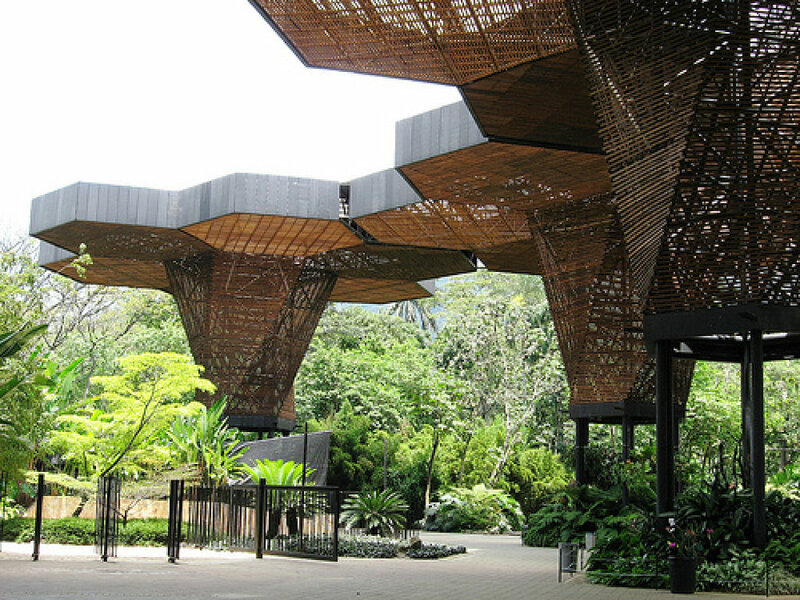 Visit the beautiful botanical gardens that Medellin has to offer. See the butterfly gardens, walk through the colourful flower trails, visit their science building, and learn about the plants of Medellin, all accompanied by delicious restaurants and a relaxing atmosphere. Here are some fun places to visit while you’re at our beautiful city! Click HERE for more information.